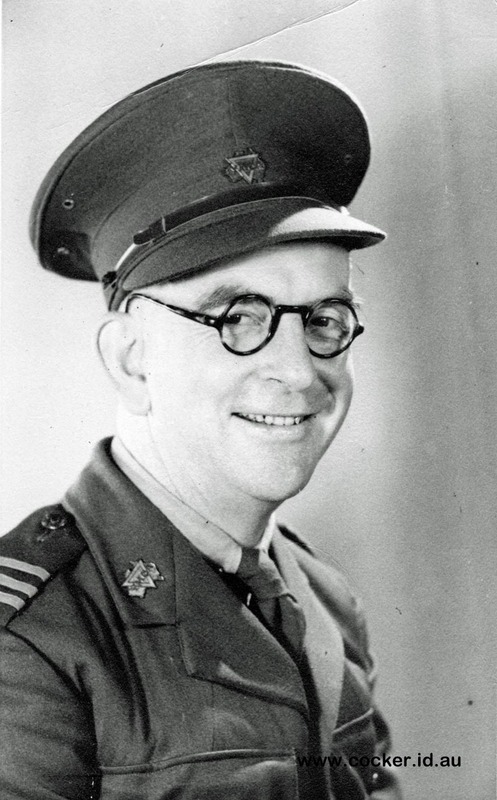 3-Reverend Ronald Hugh McHugh was born on 8 Dec 1904 in Leith, Tasmania, died on 5 Jul 1952 in Shepherds Tennis Court, Kenmore, Queensland at age 47, and was buried in Pinaroo Lawn Cemetery and Crematorium, Bridgeman Downs, Queensland. Ronald married Doris Jean Skerman, daughter of Alfred William Skerman and Melvena Clair Cork, on 31 Jan 1934 in Maleny, Queensland. Doris was born on 20 Sep 1911 in Maleny, Queensland, died on 6 Mar 2002 in Brisbane, Queensland at age 90, and was buried in Pinaroo Lawn Cemetery and Crematorium, Bridgeman Downs, Queensland. On January 31, at the home of the mother of the bride, the Rev. Ronald Hugh M'Hugh (son of the late John M'Hugh and Mrs. E. M. M'Hugh, Launceston, Tasmania) was married to Miss Doris Jean Skerman (elder daughter of -the late A. W. Skerman and of Mrs. M. C. Skerman, Maleny). The Rev. H. M'Neil Saunders officiated. Mr. A. Skerman gave away his sister, whose frock of white mariette was inlet with silk lace. Her tulle veil and cap of Brussels lace had been lent by Mrs. R. Cork, and her bouquet was of arum lilies, meadow sweet, and tube-roses. Miss Audrey Skerman attended her sister, and was frocked in pink voile and lace with hat to tone; she carried pink and white flowers. Mr. Clarence Skerman (brother of the bride) was best man. After the ceremony a reception, was held. Mrs. Skerman wore a frock of figured crepe de Chine, and hat to harmonise. Leaving for Currumbin, Mrs. R. H. M'Hugh chose a saxe blue crepe-de-Chine frock relieved with beige, and hat to tone. The death occurred suddenly in Brisbane on Saturday (12 July 1952) of former Launcestonian, Mr Ronald Hugh McHugh, aged 47 years. The youngest son of the late Mr and Mrs John McHugh, Launceston, he attended the Launceston High School, He later became a Baptist Minister and conducted the Ulverstone Baptist Church before moving to the mainland about 20 years ago. He retired from the ministry soon after going to Brisbane but retained an active interest in the church. During the war years he was a welfare officer for the Y. M. C. A. in military camps in many places in northern states. 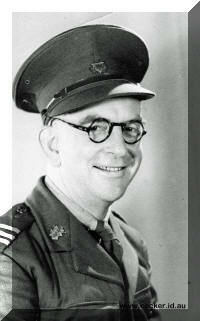 Mr McHugh was well known in Brisbane by his broadcasts on general topics for the Australian Broadcasting Commission. He leaves a wife, the former Doris Sherman, of Melaney, near Brisbane, and four children, the eldest aged 16. He was brother to Mr Andrew McHugh (Branxholm), Jessie (Mrs Austin, Launceston), Corrie (Mrs Eccleston, Sydney), Grace (Mrs Beale, Melbourne), and Lillie (Mrs Harvey, Launceston). 4-Alvin James McHugh was born on 13 Mar 1935. Alvin married Elaine Harvey They had a son: Neal James. 5-Neal James McHugh was born about 1973. Alvin next married Marlene Ruth Campbell They had two children: Susan Ruth and Donald Charles. 5-Susan Ruth McHugh. Susan married William Ian Hadden They had two children: Emily Susan and Travis Alexander. 5-Donald Charles McHugh. Donald married Virginia Mary Bartlett They had three children: Sarah, Shelly and Claire. 4-Rowena Dawn McHugh was born on 22 Dec 1938 in Brisbane, Queensland and died on 21 Sep 2009 in Warner, Brisbane at age 70. 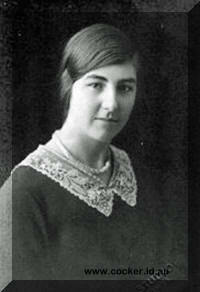 Rowena married Derek Miles, son of George Miles and Annie Florence Hall. Derek was born on 24 Aug 1924 in Birtley, Durham, England and died on 12 Jun 1991 in Brisbane, Queensland at age 66. They had four children: Elizabeth Anne, Sandra, Annette Stacey and Richard Derek. 5-Elizabeth Anne Miles was born on 14 Feb 1963. 5-Sandra Miles was born on 29 Oct 1964. 5-Annette Stacey Miles was born on 3 Mar 1968. 5-Richard Derek Miles was born on 23 Jun 1978. 4-Kenneth Graeme McHugh was born on 28 Oct 1941 in Queensland. Kenneth married Margaret Iris Alder. 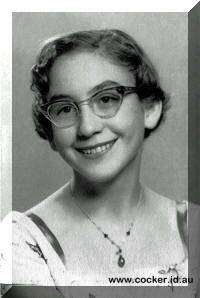 Margaret was born on 3 Aug 1942. They had three children: David Neil, Wayne Douglas and Wendie Joy. 5-David Neil McHugh was born on 16 Oct 1963. 5-Wayne Douglas McHugh was born on 25 Feb 1965. Wayne married Tricia Ann McGavin. They had two children: Brendan Simon and Andrew Bevan. 5-Wendie Joy McHugh was born on 26 Sep 1967. Wendie married Christopher Paul Wylie They had two children: Jason Thomas and Matthew James. 4-Ian Ronald McHugh was born on 11 Apr 1944 in Queensland. Ian married Ailsa Alder in Queensland. Ailsa was born on 2 Oct 1944 in Cunnamulla, Queensland, Australia. They had two children: Sharon and Gregory Ian. 5-Sharon McHugh was born about 1970 in Queensland. 5-Gregory Ian McHugh was born about 1972 in Queensland. Gregory married Marian Claire Coleman.